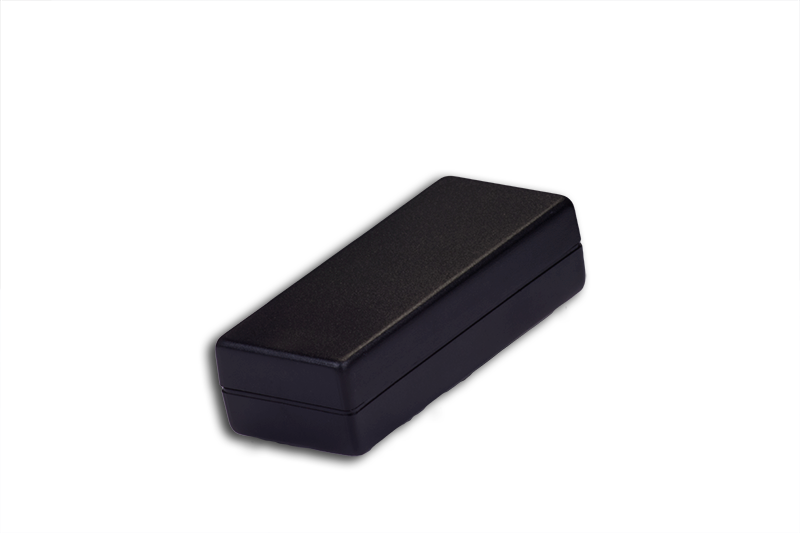 The 111x14 is a two piece box that snaps together for easy access. No screws are required. PC board mounting bosses are located in both halves. This case is suitable for power supplies for smaller devices such as laptops, etc. For permanent closure you can glue the two halves together. Lightly textured to reduce scratching. Dimensions 1.150" x 1.810" x 4.250"
9.9 cubic inches of internal space. 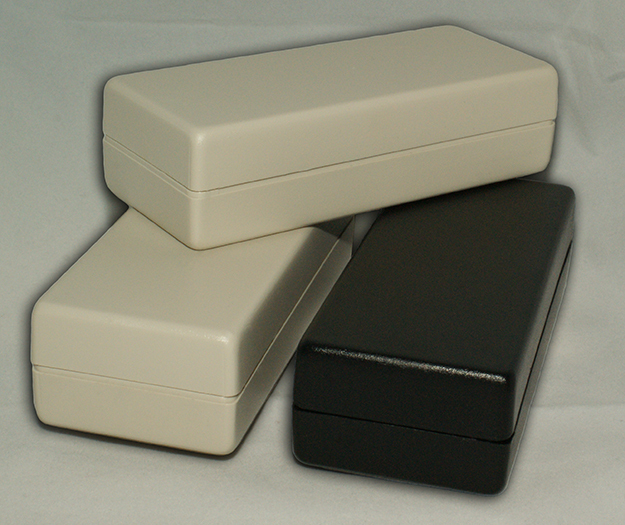 This IP65 enclosure is made from high Quality ABS plastic. This file is in a PDF format. This is the drawing for the 111X14 potting box.